"An Adam Experiment" - The Life Of Civil Rights Activist & Congressman Adam Clayton Powell, Jr. 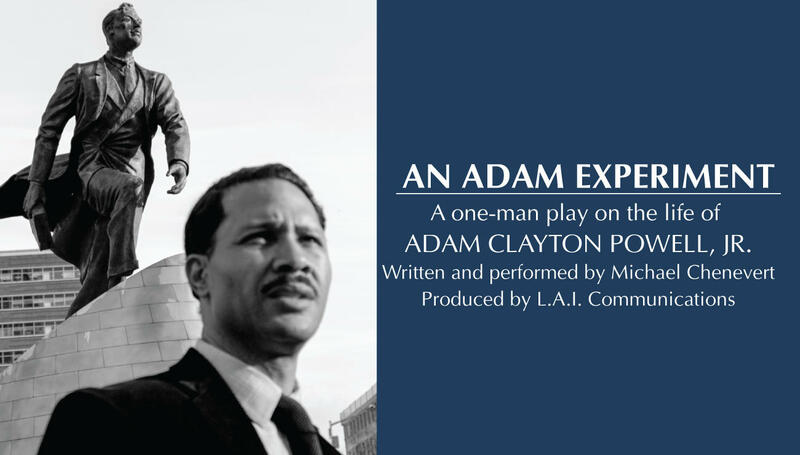 In recognition of Black History Month, the Cincinnati Arts Association (CAA) is presenting An Adam Experiment, a one-man play on the life of civil rights crusader and U.S. Representative Adam Clayton Powell, Jr. Joining Jim Stump with more information on this Friday, March 1 presentation, and the April 16 concert from Black Violin, are the CAA's Joyce Bonomini, Vice President of Education and Community Engagement, and Van Ackerman, Vice President of Marketing and Communications.